Adon & Myrrh is not just premium olive oil. It is a brand with strong roots in the realm of myths. The brand springs from a Lebanese village, Bdadoun, which is intricately connected to the ancient tale of Myrrha, the cursed daughter of Theias, the king of Assyria. 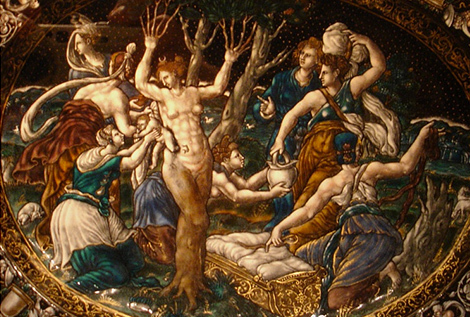 Cursed by Aphrodite because she did not honour her, Myrrha was forced to try to win over her father's heart and body. For eleven nights Myrrha managed to deceive her father thanks to the help of her nurse, but on the twelfth night Theias discovered Myrrha's identity. Outraged, the king drew his sword and tried to kill his daughter. Myrrha managed to flee and desperately asked the gods to make her invisible. They answered her prayers by turning her into a myrrh tree. Ten months later the tree's bark peeled off to reveal a baby: Adon, god of Fertility. Bdadoun's name stems from the Phoenician, Beit Adon, or House of Adon. In the ancient tradition, Adon symbolised death and rebirth and was associated with crops and agriculture. Adon is also the Semitic word for “lord”. Adon & Myrrh is a supreme sensory experience. 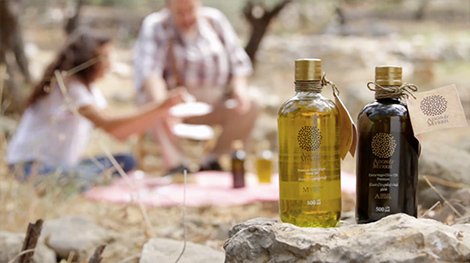 The delectable celebration of refinement and quality, each drop of olive oil embodies distinctive flavour. Adon & Myrrh is the unique fusion of enduring age-old techniques and cutting edge innovative technologies in olive oil extraction. The result is the pinnacle of natural goodness, superior taste, safety, and hygiene. Adon & Myrrh transforms everyday meals and adds a special dash to occasions. 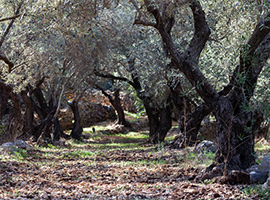 Just as our brand is rooted in the land of tales and mythology, our olive trees grow in soil with a legendary reputation in the world of olive culture. 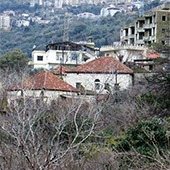 Bdadoun or “House of Adon” is an idyllic village in the District of Aley, Mount Lebanon. 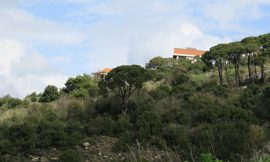 This small community of 3000 inhabitants is perched 490 meters above sea level and some 15 kilometres from the bustling Lebanese capital of Beirut. Taking a stroll on its paved streets and through its beautiful old town brimming with traditional architecture is quite an experience, especially with its gorgeous vistas of the blue Mediterranean. The breeze and natural aromas embody the generosity of this land with its olive groves and orchards lined with apricot, almond, pear, apple and pomegranate. Other than its impressive olive yield, Bdadoun is also famous in the Middle East for its plum harvest and annual Plum Festival. Over the years, it has attracted gourmets who appreciate exquisite Mediterranean fruits and vegetables. 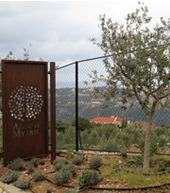 Bdadoun is the birthplace of our world-class olive oil brand, Adon & Myrrh. With the aim of expanding our existing orchards with new hectares of olive trees, we strive not only to offer our clients the healthiest and most delightful of all olive oils, but to also give back to the local environment and community. By doing this, we are helping the village regain its former reputation of fertility and abundance, and are playing a central role in bringing back olive farmers to their ancestral land.